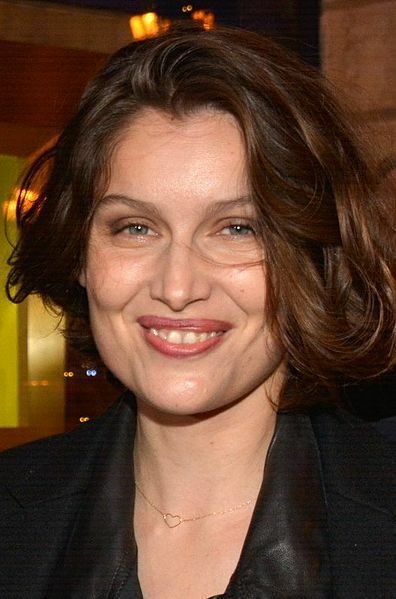 Laetitia Casta was born in Pont-Audemer, France, on May 11, 1978, is an French model and actress. She was discovered by a photographer Frederic Cresseaux at the age of 15, at Corsica. She made her catwalk debut for Vivienne Westwood in 1996. Laetitia walked in the Victoria's Secret Fashion Show in 1997, 1998, 1999 and 2000. Become a Victoria's Secret Angel in 1998. Casta appeared in the Sports Illustrated Swimsuit Issues in 1998, 1999, 2000 and 2002. Featured in Pirelli Calendar in 1999 and 2000. Became a "GUESS? Girl" in 1993. Long time highly ranked on Industry Icons and New Supers List by models.com. Has brown belt in judo. She featured in music videos for Chris Isaak "Baby Did a Bad Bad Thing" (1999) and Rihanna "Te Amo" (2010). She dated Stephane Sednaoui (2000-2002), they have one daughter. She was engaged to Italian actor Stefano Accorsi, they have two children. She married French actor Louis Garrel in 2017. She made her big screen debut in fantasy adventure film Asterix and Obelix vs. Caesar (1999) in role as Falbala. She made her stage debut in Jean Giraudoux's play "Ondine" in 2004. She has been featured on over 100 covers of magazines including Zeit Magazine, Vogue Hommes, Muse Magazine, Harper's Bazaar Spain, Elle France, L'Express Styles, Dior magazine, Tatler Russia, Marie Claire Hungary, Grazia France, Vanity Fair Italy, Grazia Italy, Madame Figaro, Flair, Vogue Turkey, Harper's Bazaar UK, S Moda for El Pais, IO Donna, Vogue Paris and Espana, Marie Claire France, Purple Fashion, Vogue Russia. Guess Jeans, Nina Ricci L'Extase Fragrance, L'Oreal, Nina Ricci, Dolce & Gabbana, Gerard Darel, H&M Holiday Lingerie, Tiffany & Co. Holiday, Roberto Cavalli, Bulgari Blue Fragrance, Miu Miu. When I began as a model, everybody tried to remold me: I was too fat, too little they tried to re-shape my teeth - I am very proud that I have stayed as I was. I don't believe in God, but when I see Laetitia, I might change my mind." -Fashion designer Vivienne Westwood"
I was a daydreamer, absentminded and distracted. My teachers told me I wasn't as smart as my brother. I was already a bit insecure and stubborn as a mule, so when I heard this, I withdrew even further into my private little world, my bubble.